TRON ranks next to Stellar Lumens. At press time TRON was ranging at $0.023993. 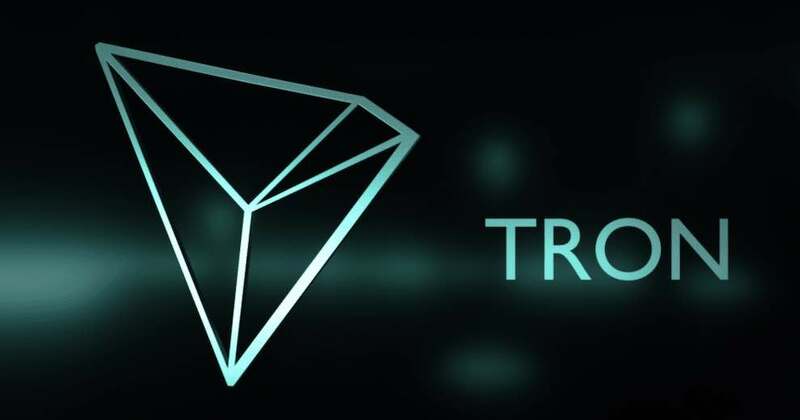 The transaction volume of TRON has increased to 130,000 transactions in a day to nearly 1.7 million transactions. This is a 10 fold increase in the transaction. The structure of the TRON Blockchain network, known as the Super Representatives, make it possible for networks to maintain a large transaction. The DPOS (Delegated Proof of Stakes) is the consensus mechanism of TRON. High transaction capacity within a short period time is the most desirable feature in TRON. If there needs to be scalability a certain degree of compromise in the decentralization is unavoidable. The low level of decentralization is something that TRON is frequently criticized for. Scalability attracts developers and DApps thus providing them with favorable data processing environments. Accelerated growth is expected for TRON considering its Active user badge and huge transactional capacity. Justin Sun, the CEO of TRON stated that the bottom is already reached and that the bear market is over. When talking about Bitcoin, Justin Sun, opined that Bitcoin would trade in the $3000 through $5000 range. A market breakthrough according to Justin Sun might happen with a breakthrough in the DApp Ecosystem. He also spoke about how multi-signature was important for high net worth individual and about how institutional investors had their standardized approach to keep cryptocurrency assets, which were managed by multiple parties with multi-layer procedures. There are not going to be institutional investors without multi-signature. TRON is also very firm about their goals concerning the South Korean gaming market.